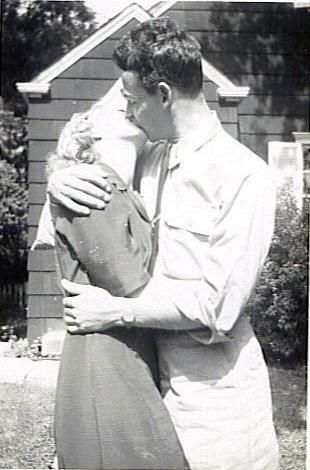 Here’s a romantic picture for Valentine’s Day, my parents, Ardys and Ken Goelzer, sometime during World War II. I don’t know when or where this was taken, and they’re not around to ask. But wherever they are, I’m sure they’re together. They met when they were eleven-year-old neighbors, married at twenty-one, and stayed married for forty-two years, until my dad passed away. Happy Valentine’s Day, Mom and Dad! What a charming photo! Happy Valentine’s Day, Kay. What a beautiful picture, Kay. Happy Valentine’s to you. Glad you all enjoyed one of my favorite family photos!